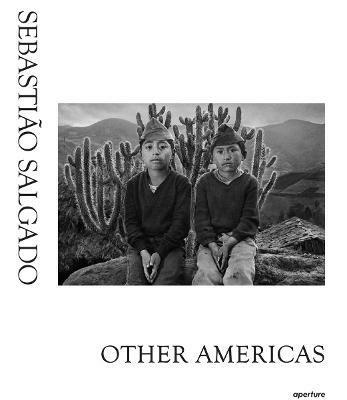 Other Americas, originally published in France in 1986 and designed by Lelia Wanick Salgado, is Sebastiao Salgado's first book. Upon publication it became an award-winning photobook classic, establishing Salgado's reputation as the visionary reportage photographer of his generation. With forty-nine black-and-white photographs taken between 1977 and 1984, Salgado's distilled survey of a continent includes images from Brazil, Ecuador, Bolivia, Peru, Guatemala, and Mexico. The images range in subject, capturing spiritual and religious practices, changing rural landscapes, and intimate domestic life. Each photograph shares a sense of sincere connection-connection between the subject and the photographer, between a population and their homeland, and between Salgado and the audience he seeks to engage. In his text, Alan Riding writes, "Salgado has sought out a lost corner of the Americas and he has made it a prism through which the entire continent can be viewed. A philosophy of life is caught in a look; an entire way of life is frozen in a moment . . ."
Other Americas, originally published in France in 1986 and designed by Leila Wanick Salgado, is Sebastiao Salgado s first book. Upon publication it became an award-winning photobook classic, establishing Salgado s reputation as the visionary reportage photographer of his generation. With forty-nine black-and-white photographs taken between 1977 and 1984, Salgado s distilled survey of a continent includes images from Brazil, Ecuador, Bolivia, Peru, Guatemala, and Mexico. The images range in subject, capturing spiritual and religious practices, changing rural landscapes, and intimate domestic life. Each photograph shares a sense of sincere connection connection between the subject and the photographer, between a population and their homeland, and between Salgado and the audience he seeks to engage. In his text, Alan riding writes, Salgado has sought out a lost corner of the Americas and he has made it a prism through which the entire continent can be viewed. A philosophy of life is caught in a look; an entire way of life is frozen in a moment "
Other Americas was shot during a time of industrial growth, rising inequality and political turmoil, and shows a way of life under threat. The Independent" These are not the faces of despair, but the faces of solitude, peering at a rapidly changing world that both calls out to them and rejects them. "The New York Times "
The intimacy of Salgado's photographs reflects the patience and passion that he dedicated to taking them. "The New York Times"
The people of South America are portrayed with dignity and tenderness in this impressive collection "NBC News"
Other Americas was shot during a time of industrial growth, rising inequality and political turmoil, and shows a way of life under threat. "The Independent" "
Sebastiao Salgado began working as a professional photographer in 1973. Since then, he has published numerous books, held solo shows, received international awards, and along with his wife, Lelia Wanick Salgado, founded Amazonas images, an agency created for his work. Claude Nori is a photographer, editor, author, and the publisher of Contrejour, which he founded in 1975. Alan Riding is a journalist and writer who worked for The Financial Times, The Economist and joined the New York Times in 1977.